A perfect place to cheer up your kids and let them take off some steam, Royal kids Park has all the games every child could dream of. Space slides, Zip line, Monkey bridge, giant Legos and what not, your children will erupt with joy and will have the time of their lives. All the games are fun to play as well as safe. There’s also a snacks centre upstairs that serves coffees, waffles and other soft drinks. For kids from 0 to 12 years of Age only. By Road : Take the D940 towards Calais beach, Right before Rue de Vimy Roundabout. 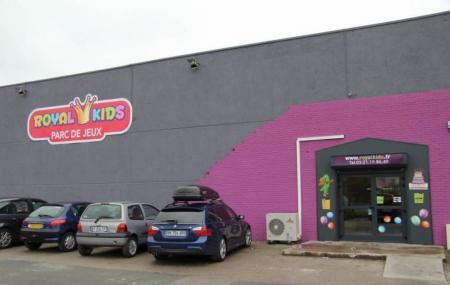 How popular is Royal Kids Parc De Jeux? People normally club together Les Baraques Military Cemetery and Musee De La Guerre Or Parc St Pierre while planning their visit to Royal Kids Parc De Jeux. Great place to bring children quite expensive €9 A child but you can stay all day shuts at 6pm. Lots of €1 things to do inside. Nice little indoor kids park. not expensive and lots of fun for children. big climbing scaffold for greater and smaller one for little kids.